The File Lock add-in allows you to find which process is locking a particular file. For example: you are working with SharePoint & encountered a check-in problem. The error message says file is locked. You can use Squadron to find which process is locking the file. Open Squadron & use the System add-in from the left pane. Enter the full file path in the text box, over the bottom. Click the Find icon to start search. You will be prompted with the result. You can terminate the application to release the file lock. Here you can find the list of processes currently running. Here you can find the list of services currently running. While editing an HTML file in explorer view, following error occurred. The process cannot access the file because it is being used by another process! He cannot save the file through Notepad/Notepad++ or any other application. We confirmed that there are no other application simultaneously working on the file. When we examined further the Explorer – Preview proven to be culprit. The Preview was creating another process which adds lock on the file. Undo Checkout Problem >> Solved through Squadron! Option 1: Go to document library settings & use the Manage files which have no checked in version. Install Squadron on the server machine. After installation, open Explorer View, open the document library, point to document & click Undo Check Out option. If you receive no-errors, then your problem i solved. Now go back to SharePoint & confirm the document is not checked out. This is a manual approach where we delete the document & re-create it. Please make sure you save the latest document, all the versions along with comments before the Delete operation. You can contact Microsoft Support if you have purchased support hours. Working directly on content database to modify record status is not advisable. In this article I would like to explore the trick that allows Creating Site Collection with New Content Database, everything through Central Administration. A trick is needed as the new site collection creation does not allow us to select the content database name. It randomly selects the database & this aspect we need to control. Open Central Administration & choose the option Manage content databases. In the appearing page create a new content database. Back in the databases list, select all other databases (except NewDb) & make them as Offline. Please note that only one database is active now, this will make SharePoint to choose it while creating new site collection. Now our new content database is created & set to the Started state, we can proceed with creating new site collection. Chose Central Administration > Create site collections link. Enter the site collection creation parameters and click ok button. Please note that there is no field to specify the content database, it will be automatically taken from the available content database in the background. Once the new site collection is created, you can verify the database name. Open Central Administration > Application Management > View all site collections link. In the appearing site collection list, click on the new site collection, you can see the database name in the right hand side panel. Please note that the database name is NewDb. Now we have completed the new site collection creation with new content database name. Please turn back all the content databases to Ready state. Open Central Administration > Manage content database > choose each > set to Ready state. After completing the step, you will see all the databases set to online. Please note that PowerShell command New-SPSite provides the option to specify a content database name. In this article we have explored a Central Administration route to create new site collection with specified content database. SharePoint 2010 How to enable Key Filter? While opening a library we can see the Quick Launch pane contains a new filter section called Key Filter. Key Filter is a mechanism to filter a very large list or library. We can filter based on the Metadata property or term associated. How to enable Key Filter? Open the list or library by clicking the Quick Launch link. You can choose from Navigation Hierarchies & Key Filters. 1. Navigation Hierarchy allows you to choose from the existing Metadata Terms. 2. Key Filters allow you to choose from existing columns in the list or library. We are using the second option of Key Filters here. Now save changes by clicking the OK button. You can try entering filter values & see the result on the right hand side. Please note that Movie is a Metadata term which was custom created. In this article we have explored how to enable Key Filter for SharePoint list or library. In this article I would like to explore on the Term creation & association aspects. We are going to create a Local Term Set, Term Set is a group of Terms & Local denotes the scope of Term Set only to site collection & sub sites. Click on the Site Collection item > Context drop down menu > New Term Set item. In the appearing page, enter the name for term set & press enter key. You can even set the Owner of the term set. Enter the name of the term as shown below, create terms for following items. If you do not have enough permission, you cannot see the context menu item. Now our Term Store is ready & we are good to create the library. Go ahead and create a new library & name it as Movies. In the library settings choose create column & add the following column, type as Managed Metadata. Scroll down & choose the Managed Metadata set. Click the Ok button to save changes, now you are ready with Library & Term column. In this step, we are going to assign term (metadata) along with the movie file (data). Upload a file & in the appearing dialog you will be able to enter the Term in the Category column. Please note that there is auto-complete guidance. This concludes our article on Term Creation & Association. If you wanted to associate multiple values for a Managed Column, you can achieve this through the Allow Multiple Values for the library column property. In this article we have explored Term creation & association. In this article I would like to introduce you to Terms, more exactly Metadata Terms. Term is a keyword that can be associated with content in SharePoint. Associating content along with Terms improves Taxonomy, Accuracy & Better Search. Terms can be hierarchical & stored inside groups called Term Sets. Terms are usually created & managed by an authorized person, thus increasing the quality & accuracy. For simplicity, you can see terms as tags which can be associated with contents. Content stored inside SharePoint needs to be classified for better search & retrieve. SharePoint Taxonomy involves classification of contents into separate buckets. Terms help us in Taxonomy. Plus, Terms can be indexed & thus yield faster search results. Additional to content types, Terms provides a global reusability for content classification. How we can create & manage Terms? We can use the Term Store Management Tool for creating, managing terms. The tool is accessible from Site Actions > Site Settings > Term Store Management link. How to manage Term Permissions? We can assign Term Owners who will have full control on the Term. 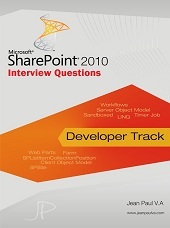 In the next article we can see how to create & use terms inside SharePoint 2010.